Located in the High Country of North Carolina is a private and stunning 38-acre turnkey vineyard. This beautiful vineyard is located in the newly established Appalachian High Country AVA (American Viticultural Area) in the quaint community of Bethel, between Boone and Watauga Lake. This gated working vineyard has approximately 12 acres is planted with over 14,000 plants including lush wine grape vines, which is the primary focus, along with raspberries, blueberries, blackberries and Christmas trees. Sitting in the middle of the property is a U.S. Corp engineered and approved 1.2 acre +/- pond fed with three springs and stocked with trout, three zone irrigation system, and dry hydrant. The 30-by-60-foot post and beam barn sitting alongside the pond features full utilities (power and water), kitchenette/office, bathroom with shower and walk-in cooler. You will also find buried power lines, an impressive road system. 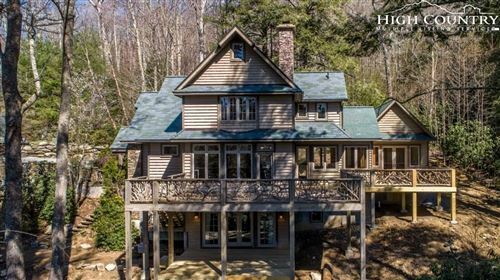 In addition, you will find multiple 3,500-foot building sites with multi-state views including the top of the vineyard with 360-degree views of Grandfather, Beech Mountain, Yellow Mountain and Stone Mountain.